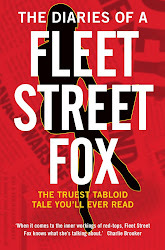 fleet street fox: Oh, put it away. IT'S hardly surprising that Beyonce Knowles' latest video involves a chorus line of dancers clad in suspenders, and the diva herself wearing little more. If it weren't for Adele I'd swear it must be impossible for women to sell any records without dressing up like prostitutes. But she seems to have done quite well without thrusting her gusset at fans - perhaps for the sake of my eyesight Cheryl Tweedy might like to do the same?